The Alliance for Biking & Walking recently released its 2016 Benchmarking Report. This national organization does lot of similar work as The Coalition except on a larger scale across the whole country. Of the hundreds of people involved in this study, Jeannette Brugger of the city’s Planning Commission, as well as Charles Carmalt and Ema Yamamoto of the Mayor’s Office of Transportation and Utilities, all had a hand in helping produce this report. Tucked into this massive 198 page report are some important points we feel should be shared with those who are interested the state of walking and cycling in Philly. For this post we are picking out some of the highlights and separating them into the Good, the Bad, and the Unhealthy. Philly was rated as one of the 10 large cities with the highest percentage of people who bike and walk to work. Of those 10, we come in sixth, with 8.5 percent of our commuters walking. With biking, we are in 10th place: 2.1 percent using a bike to commute. This showed an increase of 1.1 percent between 2007-2013. The Coalition released its 2015 bike count report yesterday — you can read about it here. The numbers get more specific in the following areas. Of the approximately 31 percent of the city’s population that doesn’t own a car, about 11 percent of them walk or bike to work. Fifty-two percent of those commuters are female and of those commuters, 37 percent use bicycles. 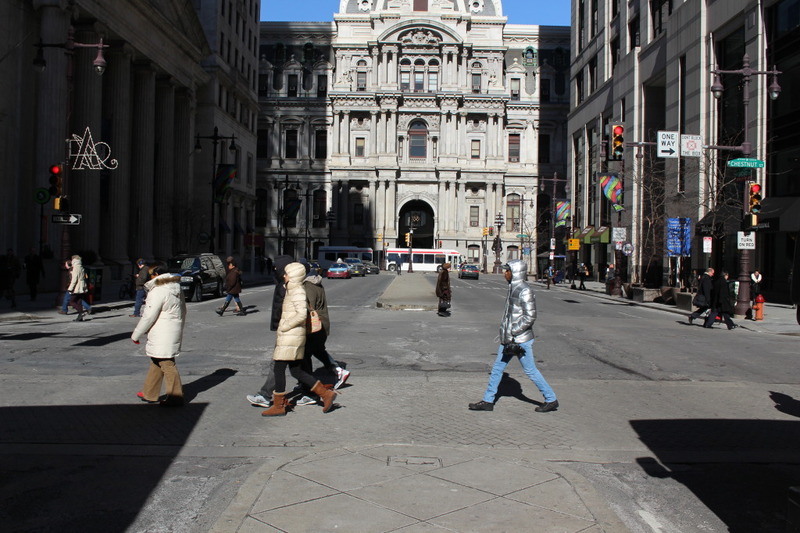 As of 2014 Philly had 5.5 employees working on bike and pedestrian related projects. But those numbers are now on the rise with the city working to adopt the new Vision Zero policy and with introduction of Indego Bike Share. Pedestrian fatalities are still too high. Any number higher than zero is unacceptable. These numbers accounted for 33 percent of all traffic fatalities within those years. From 2011 to 2013, Philly saw an average of 5.4 fatalities for cyclists and pedestrians per 10,000 commuters. As it was said in a recent webinar following the release of the study, “A walkable community is a healthy community.” For a town known for its dedication to its teams and sports stars, we are not well-known for a high level of athleticism that extends too far out of the sports arena. The study states that in the cities which have higher rates of people biking and walking to work they also have lower rates of obesity. This trend can be seen in Philly but the actual numbers don’t look good. 63 percent of adults in Philadelphia are overweight or obese. That is up 3 percent from the time period studied between 2005-2012. These negative statistics can all be filed under the label of “public health issues” and work has been under way on many fronts to tackle each of these issues.